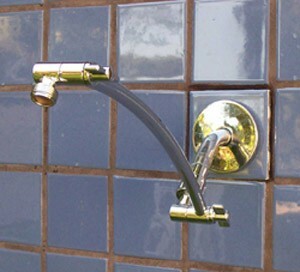 12 inch Curved Hi Low Arm locks into place for holding a heavy showerhead, yet is easily adjustable. Reaches up and over or down and lower on a 12" radius. Brand new design!